U.S. 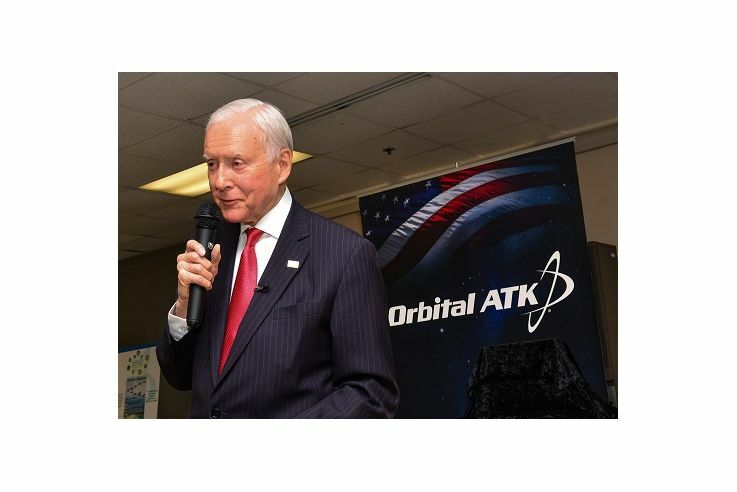 Senator Orrin Hatch toured Orbital ATK's Promontory manufacturing facilities and took the opportunity to speak to enthusiastic employees on Thursday, August 11. Senator Hatch thanked the audience for the important work Orbital ATK does for space and national defense. 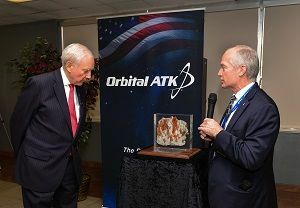 Senator Hatch was introduced by Charlie Precourt, vice president and general manager of Orbital ATK’s Propulsion Systems Division, who acknowledged Hatch's distinguished career in the Senate and his membership on several important committees. Precourt thanked Hatch for being a long-time champion of Orbital ATK’s work for NASA and national defense. "We are an important part of our national defense, and Senator Hatch understands this very well," Precourt said. Charlie Precourt presents Senator Hatch with pieces of glass created by the exhaust gases from QM-2. 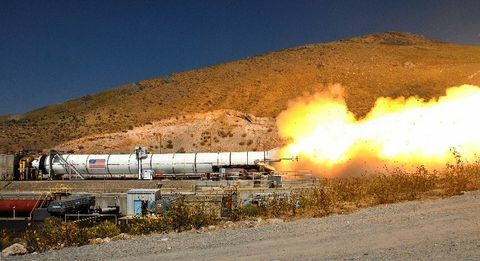 Senator Hatch then congratulated the employees in attendance on the successful static test firing of the second qualification motor for NASA’s Space Launch System (QM-2), which sends a strong message to the U.S. and the world about the importance of our work as well as America's capabilities. 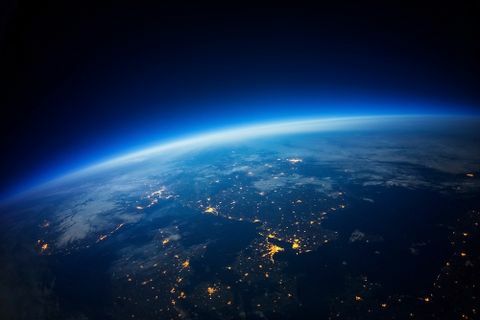 He talked about the importance of space exploration and the thousands of inventions with origins in the space program that have benefited humankind. 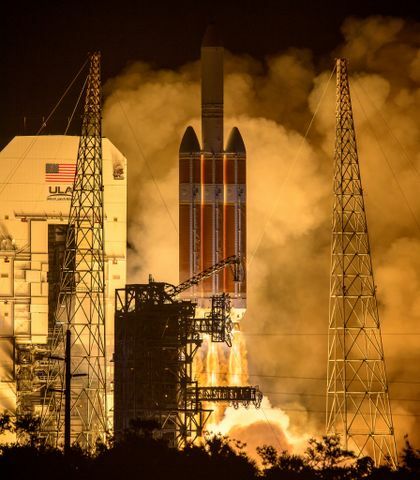 He also emphasized how critical space exploration is to maintaining our national defense. Hatch said he is proud to represent Utah and will continue to work hard and support the work Orbital ATK is doing for space exploration and national defense. 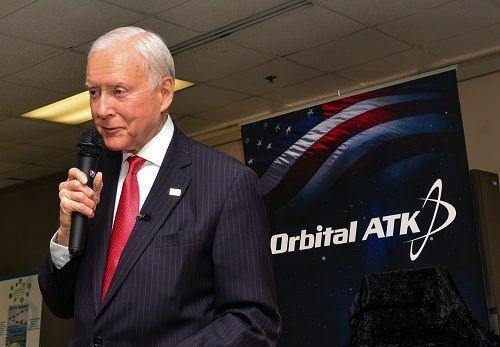 When asked what individuals can do to influence the White House and Congress to better support space exploration, Hatch answered that it is important to get involved and stay involved in the political process. Senator Orrin Hatch addressed a crowded room during his recent tour of Propulsion Systems' Promontory facilities. 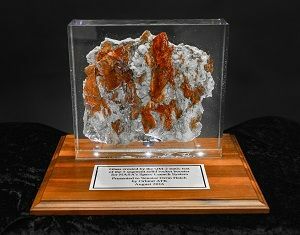 Following the question and answer session, Precourt presented Senator Hatch with a large piece of glass that was created by QM-2 exhaust gases, which reached 5,000 degrees Fahrenheit—as hot as the sun—and melted the nearby sand into glass. Pieces of glass created by the exhaust from the QM-2 test of the Orbital ATK-built booster for NASA's Space Launch System. Now in his seventh term as Utah's senator, Orrin Hatch is the most senior Republican in the Senate. Senator Hatch is the Chairman of the Senate Committee on Finance. He is also a member (and former Chairman) of the Judiciary Committee; a member (and former Chairman) of the Senate Health, Education, Labor, and Pensions Committee; and a member of the Joint Committee on Taxation. He also has the honor of serving on the Board of Directors for the Holocaust Memorial Museum in Washington, D.C.